Tooth extractions can play an important role in maintaining oral health when a tooth is too badly damaged to be restored with a crown, filling or other technique. 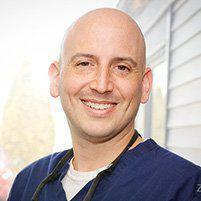 At Montville Dental Associates, Dr. Matthew Spatzner performs both simple and complex tooth extraction procedures using advanced pain management techniques so patients in Montville, NJ, can enjoy better oral health without major discomfort. When does a tooth have to be pulled? Usually, it’s better to try to save a tooth whenever possible and to avoid extraction. But sometimes, extraction is the best solution for a tooth that’s badly damaged, impacted (stuck under a neighboring tooth) or threatening the health and integrity of other teeth. When a tooth cannot be repaired or restored using a filling, inlay, overlay, root canal or crown, or when the tooth is having a negative impact on overall oral health, extraction can provide the best possible solution. Before any extraction is performed, the tooth will be carefully evaluated to determine if an extraction is the best option or if an alternate treatment might provide a good solution. That depends on the location of the tooth, the integrity of the tooth and other factors. Some extractions can be performed using grasping instruments without the need for surgery or incisions into the gums. Other more complex extractions require surgical intervention to remove the entire tooth, including the portion of a tooth that may be located below the gum surface. At our practice, we use state-of-the-art pain management techniques to ensure patients remain comfortable during and after their extractions. Wisdom teeth don’t always have to be pulled, but in most cases, they should be. Because wisdom teeth are the last to erupt, there is often little room for them to “fit” in. As a result, they often come in crooked or become impacted beneath neighboring teeth, resulting in pain and other problems. These teeth must be pulled in order to avoid damaging neighboring teeth and to relieve pain. Even when a wisdom tooth comes in straight, pulling it is still a very good option. That’s because, located way in the back of the mouth, wisdom teeth are notoriously difficult to keep clean, and they can provide excellent harbors for decay-causing bacteria and other germs that cause deep infections in the gum and even the underlying bone. By pulling wisdom teeth, these issues can be prevented.